Walnut City, Calif. – November 5, 2015 – Tenda Technology Inc.® invites the press and public to join them at the Miami Marlins Park in Miami, Florida. For one day only — Friday, November 6th, 2015 — we would like you to join us for the chance to meet and mingle with fellow tech enthusiasts, and learn about new Tenda Technology Inc.® products. Come and speak to Vice President Jeff Wang and Product Manager Charlie Cai to learn more about Tenda Technology products, upcoming sales promotion with TigerDirect, and information about Tenda at the P8 booth located on the promenade level. For one night Tenda USA will be showing a wide variety of their new WiFi and networking products. Look for featured products such as the AC15, F3, A301, TEG3224P, TEG1105P, S105 V10.0, P1002P. In addition, ten AC15 routers and twenty S105 switches will be given away to lucky visitors. Check in at the booth to see how you can walk away with an 11ac dual band router or a 10/100 desktop switch. As TigerDirect says, “The 4th Annual TigerDirect Tech Bash will be nothing short of amazing! The public will pour into the Miami Marlins Park to see the latest and greatest technology has to offer. 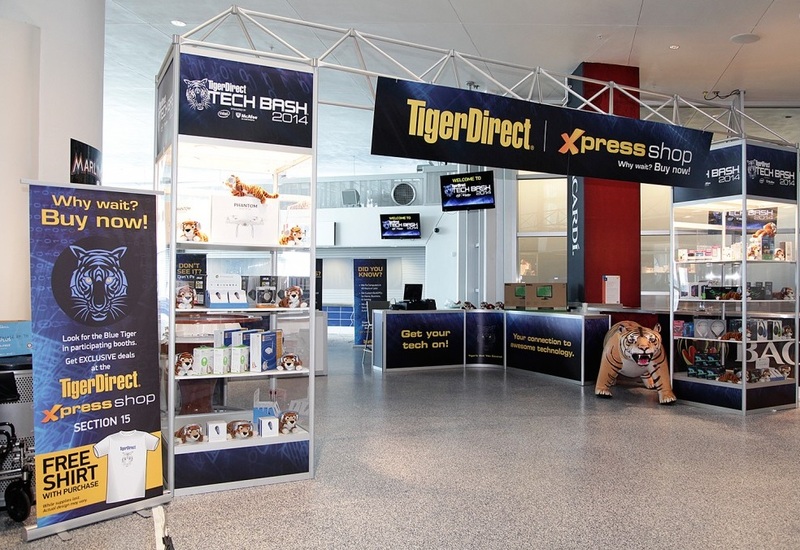 From millennials and families to IT experts and business executives, TigerDirect Tech Bash attracts thousands of guests all driven by a common passion for the latest consumer technology. This fun-filled evening of gaming, music, and entertainment display interactive activations from more than of the biggest names in technology.” Dress casual and prepare for an evening of Tech and Consumer Electronics driven fun and fact finding.